The Mcnees PSK II TAD Edition is a modular reimagination of the traditional survival knife that combines a versatile and field-maintainable knife with key survival tools in a compact and easy to carry package. 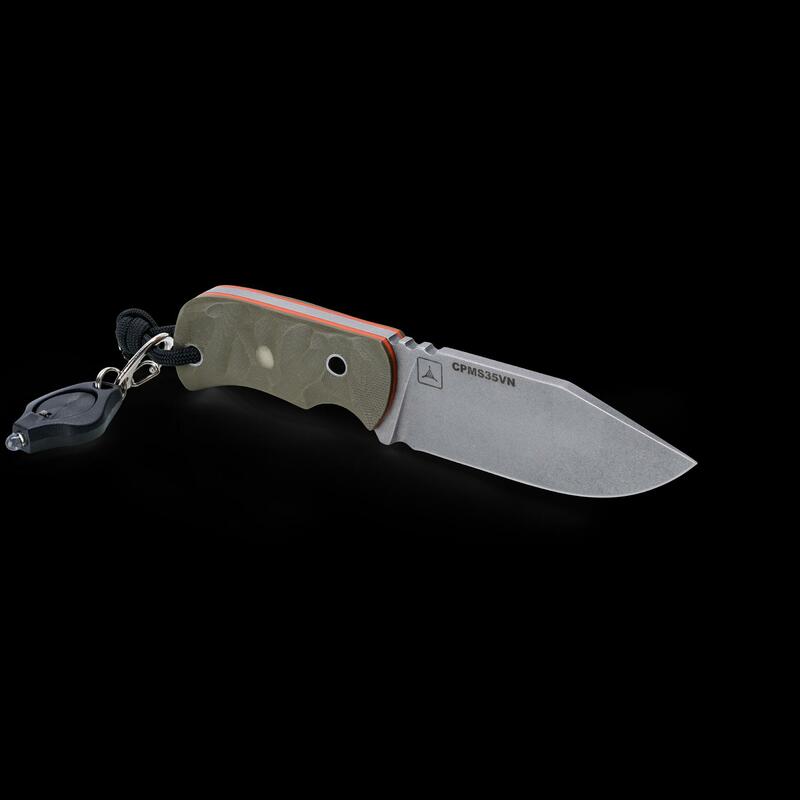 Each component, from the sheath to the lanyard spool, can be easily rearranged to suit your needs. 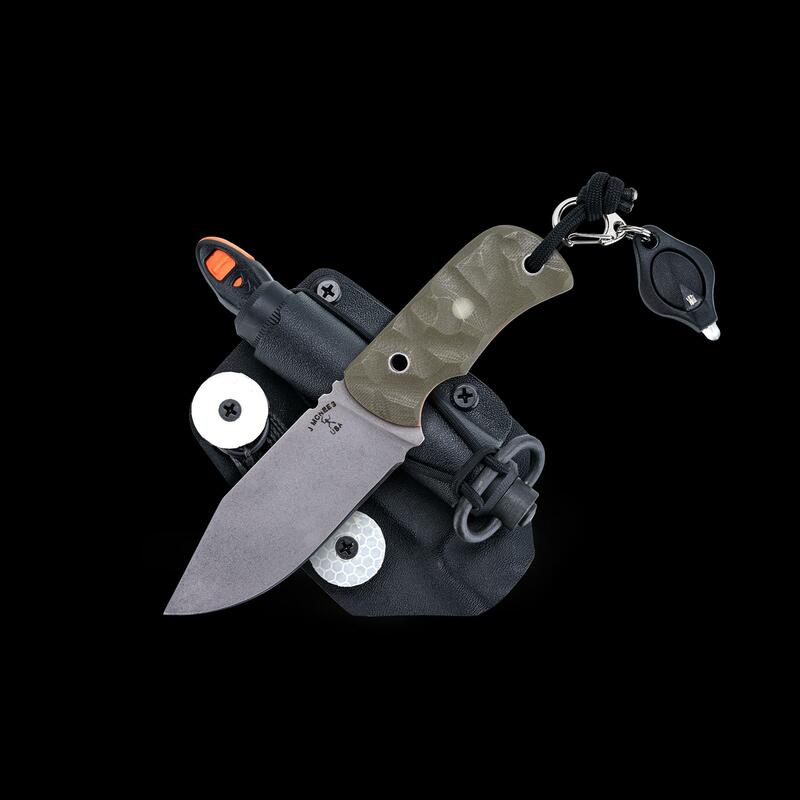 Reengineered from its original collaboration, our TAD Edition’s footprint has been tailored down substantially in width, length and height, and the sheath’s accessories have been reconfigured to condense the overall package without sacrificing functionality. 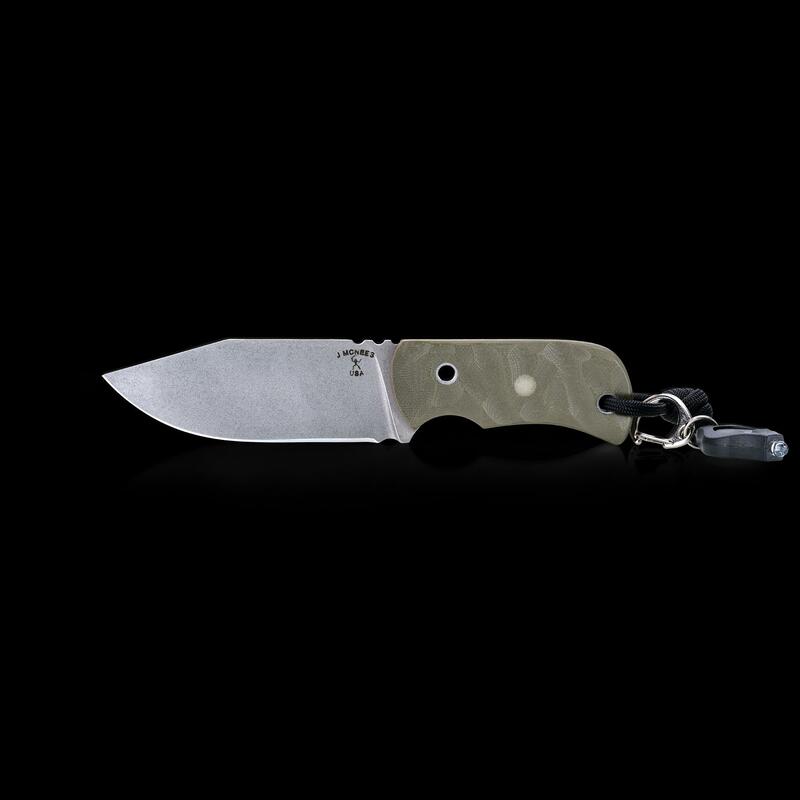 A shortened handle, taller blade profile, and strategically streamlined sheath make for a loyal companion in the field. 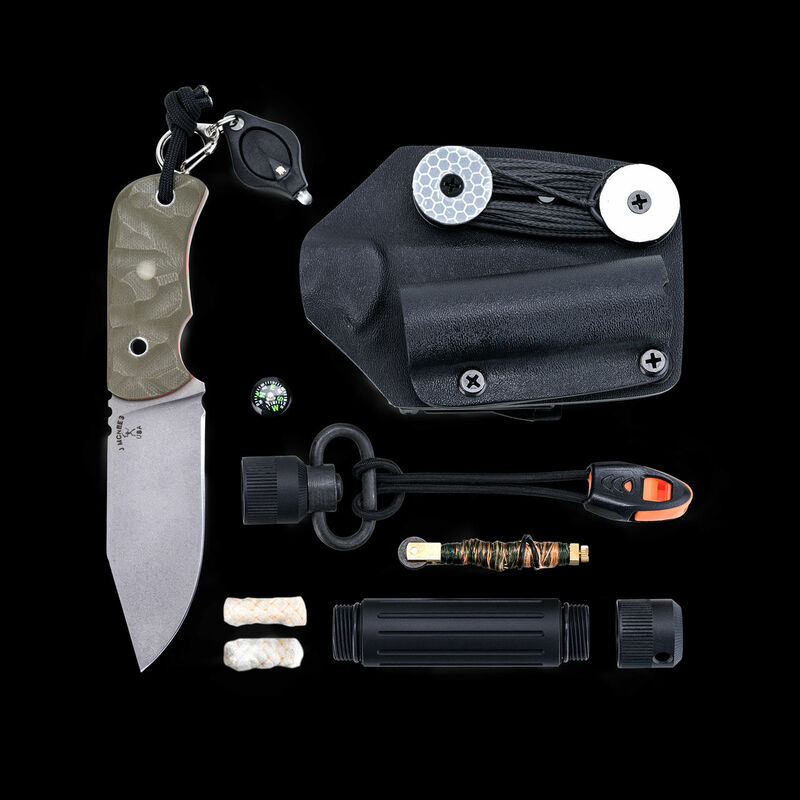 This custom made survival kit from Mcnees Custom Knives includes a fixed blade, ITX Nexus cord lock whistle, 10’ of 400 lb Technora with 20’ 30# Spirewire fishing line, multiple hooks, Life Capsule Omega, Survival Spark with Tinder Quik, Photon 2 Micro Light and button compass. 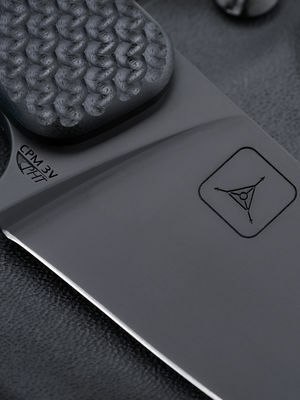 All of these survival essentials are affixed to the sheath, but can be easily manipulated into multiple configurations. 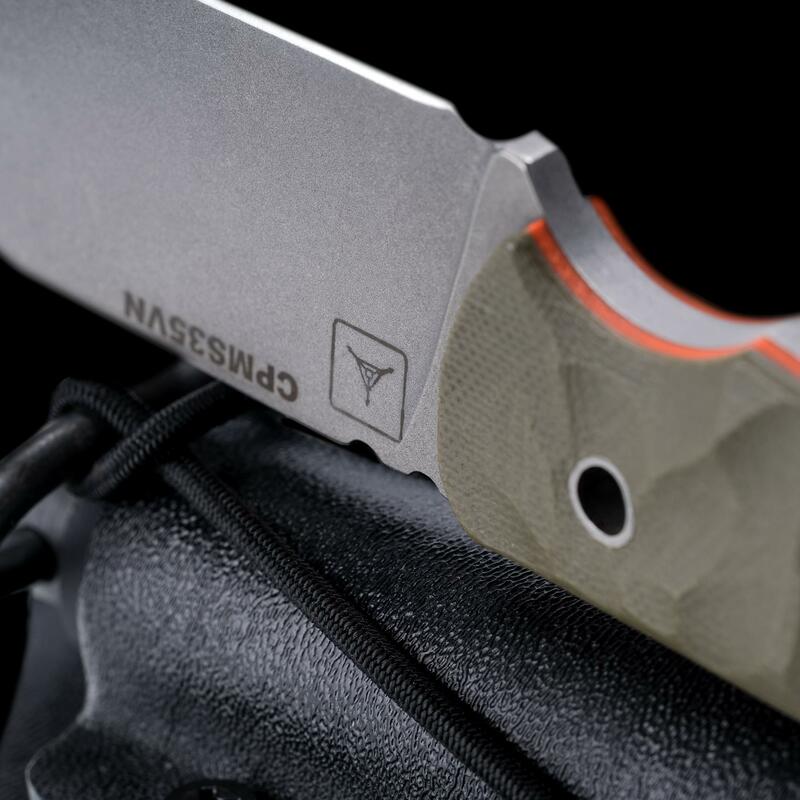 Despite shortening the handle, there is still significant stability with this knife. Using the lanyard wrapped around your pinky, you can choke back deceptively far on the blade; enough so that it’s still secure to baton. 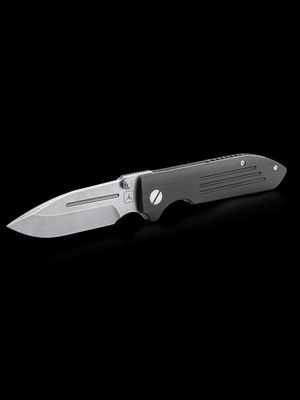 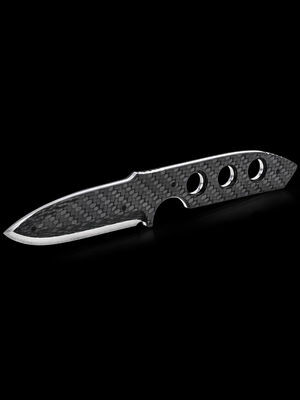 The taller blade profile with flat space on both sides also allows you to quickly climb your pointer finger and thumb close to the point for easily controlled and secure manipulation. 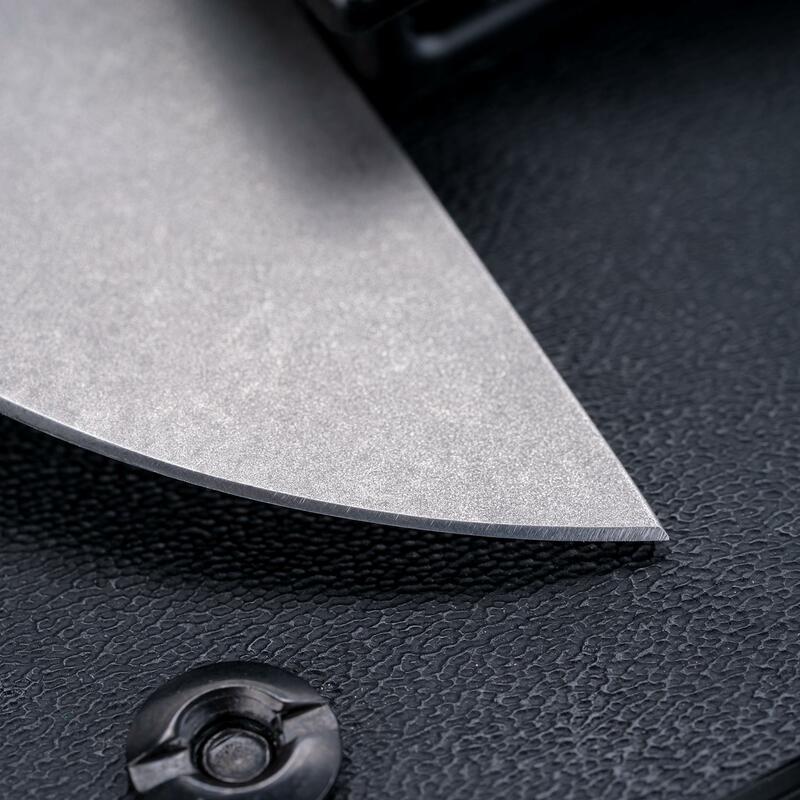 Most high knives with rigid mounted sheaths will dig into your ribs when vertically mounted, which can be particularly problematic during climbing. 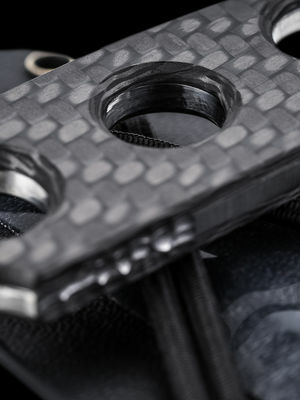 The PSK II features less side to side real estate without sacrificing usability so that it’s less cumbersome and more compatible with other items on your belt. 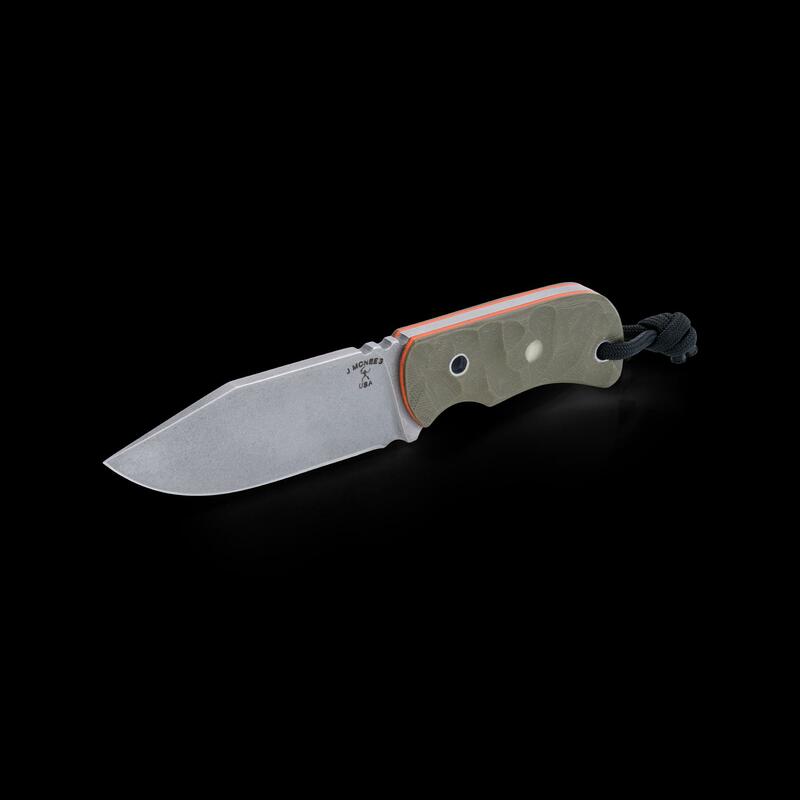 Glow dots on the blade handle make it easier to spot at night while NATO Orange G10 lines the textured OD Green handle. 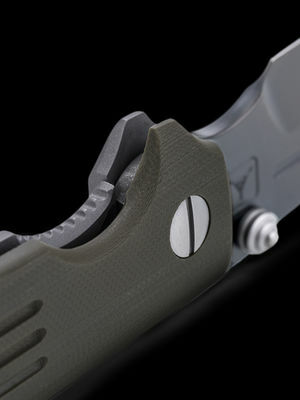 With two hollow pins, the handle can accommodate numerous lashing configurations. 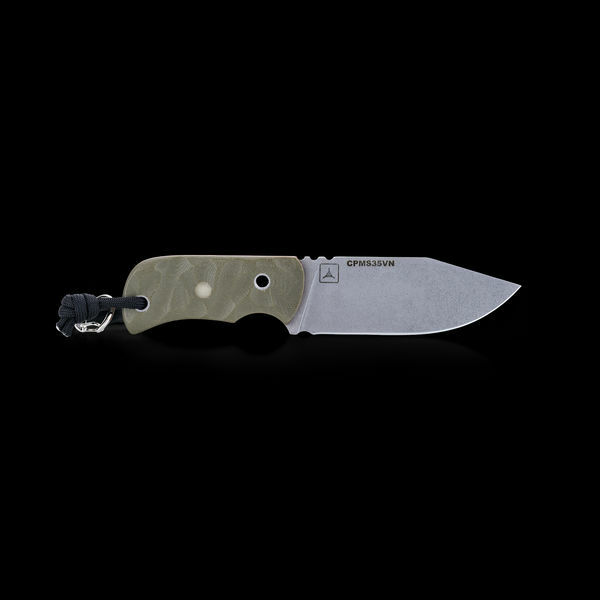 In addition to its usual use as an emergency flint, our Survival Spark is wrapped with 20’ of 30# test Spirewire fishing line with two small fish hooks underneath for fishing, snares, lashing or tripwires. 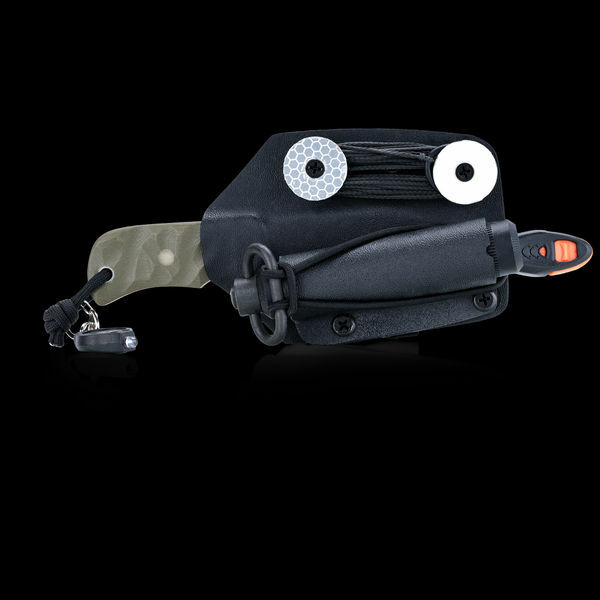 Coupled with the two reflective spools, you can also create a bobbin, weight, marker, pulley system, or integrate a threading needle to use the fishing line for repairs. 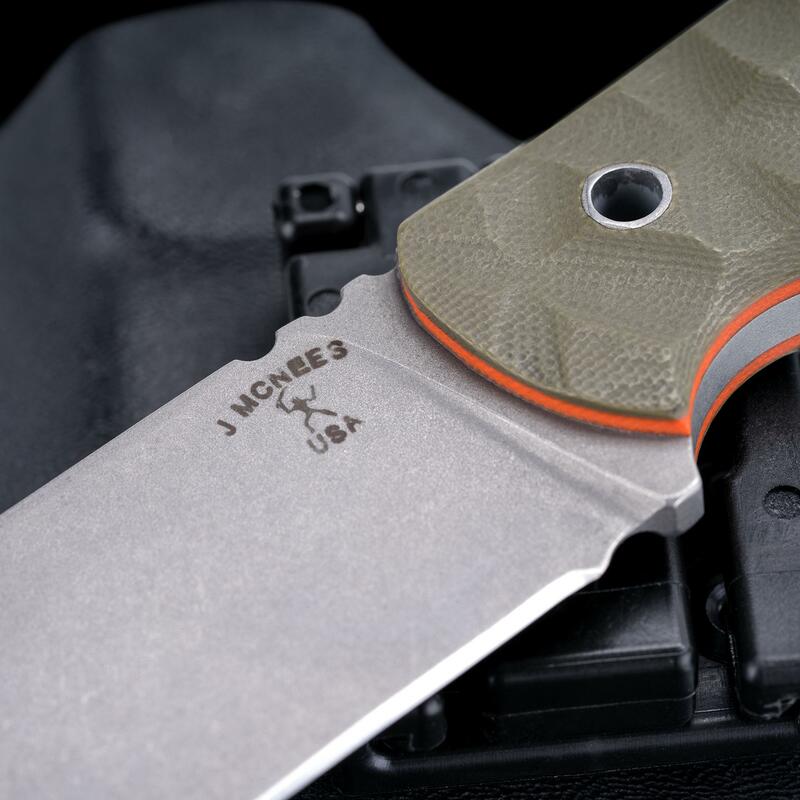 Jonathan Mcnees of Mcnees Custom Knives served as a US Marine and is an avid outdoorsman. 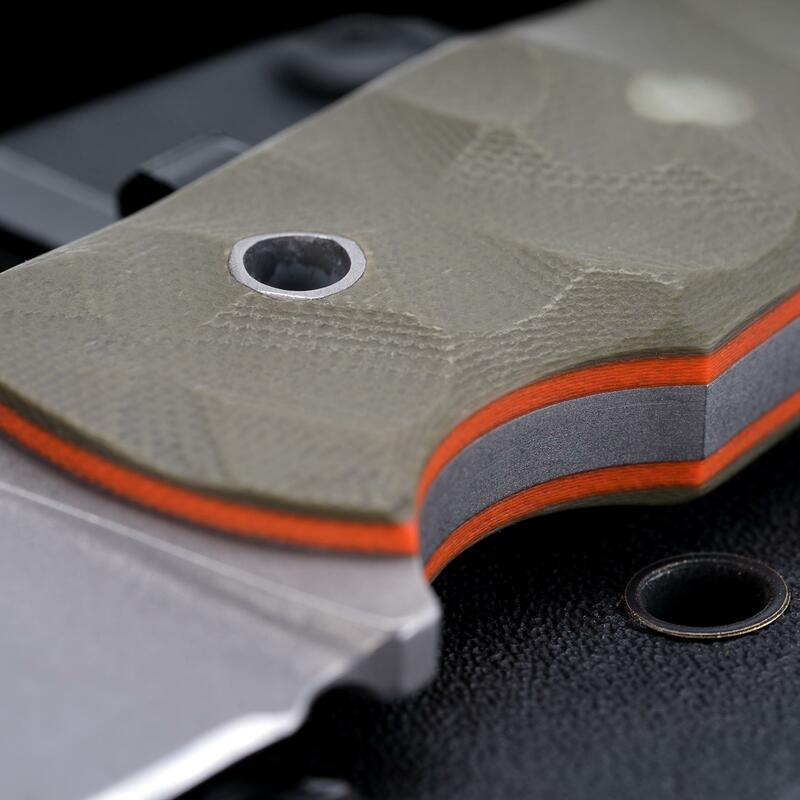 Always passionate about knives, Jonathan takes a practical approach to his design, focusing on efficiency and wasting as little space as possible. 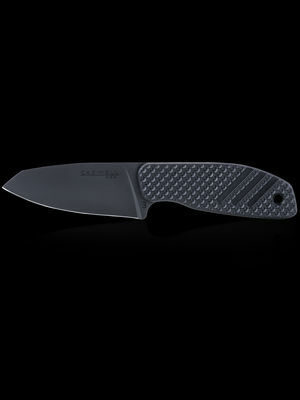 He tends to prefer carbon steel and synthetic blade materials over stainless steels like CPM 154 or S30V.